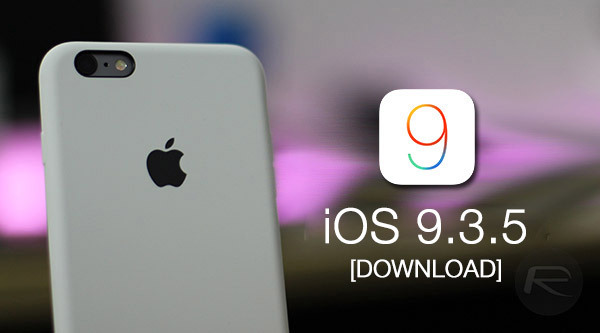 Out of no where, Apple has made available for download iOS 9.3.5 links for supported iPhone, iPad and iPod touch devices. This release comes approximately three weeks after Apple released iOS 9.3.4 to public, with iOS 10 only a matter of weeks away from public release. Given the fact that there hasn’t really been any publicly revealing developments in the jailbreak community since the release of iOS 9.3.4, we can only assume that Apple’s engineers have been made aware of areas of the system that can be improved and stabilized even more prior to iOS 9 finally being retired in favor of the incoming iOS 10 platform. 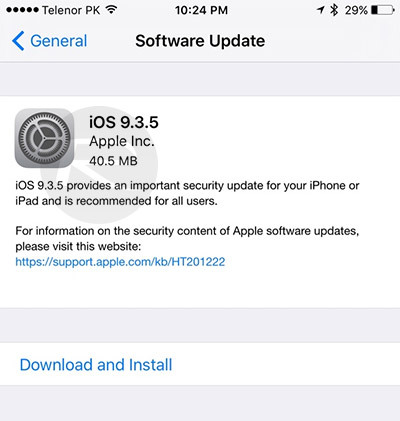 In addition to the standard slew of system-wide bug fixes and stability improvements that should hopefully provide a more pleasurable user experience, it’s also being reported that iOS 9.3.5 update fixes a number of critical security vulnerabilities in the platform. The release patches three serious vulnerabilities that were present in iOS 9.3.4 and below, all of which Apple believes to have been exploited by NSO Group to spy on device owners by reading text messages, as well as tracking incoming and outgoing calls. If you are currently sitting on an earlier version of iOS, such as iOS 9.3.4 or iOS 9.3.3, and don’t really care about having access to a publicly available jailbreak, then it would be recommended to upgrade as soon as possible to this latest version of iOS. Given the fact that it’s presumably been rushed through Apple’s QA process, it more than likely means that it’s a critical installation for anyone running an earlier version of Apple’s mobile operating system. As always, the latest iOS release, which in this case is iOS 9.3.5, is available to download immediately on all compatible iPhone, iPad and iPod touch devices as an over-the-air (OTA) update via the Software Update (Settings > General > Software Update) mechanism built into iOS. Alternatively, it can also be downloaded and installed via iTunes. You can get IPSW-restorable iOS 9.3.5 files from the links given below. Maybe this update plugs the iOS 9.3.4 JB. Don’t update until there’s a confirmation for the jailbreak. Every update will always have a jailbreak. Apple cannot stop it. Same links for 5c (GSM) and 5 (GSM)? Yeah no one is ever checking the links… iPhone 5 GSM should be 5,1 not 5,3. I’ve confirmed the 5C working. 10/3/16, Current iOS 10.0.2.
iOS 10 links are a little different now. Older models now go by screen size (4.0/4.7/5.5)(4.0 has 32-bit for 5 and 5C and 64-bit for 5S), newer models still go by model number. alright, so I downloaded ios 9.3, now how do I install it? I downloaded ios 9.3.5 from the link for iphone 4s. Now what to do with the file ? how my itunes will recognize the file ?